Combat, or fighting, is a purposeful violent conflict meant to establish dominance over the opposition. 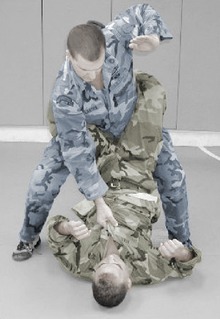 Combat may take place under a certain set of rules or be unregulated. Examples of rules include the Geneva Conventions (covering the treatment of soldiers in war), medieval Chivalry, the Marquess of Queensberry rules (covering boxing) and several forms of combat sports. Combat may be armed (using weapons), or unarmed (not using weapons). 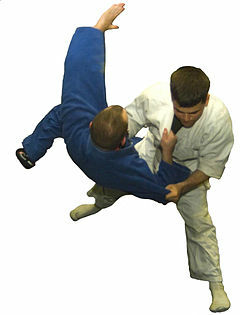 Hand-to-hand combat (melee) is combat at very close range, attacking the opponent with the body (striking, kicking, strangling, etc.) and/or with a melee weapon (knives, swords, batons, etc. ), as opposed to a ranged weapon.